Reyem office screens can be adapted to suit your existing installations and are available in a wide range of finishes. 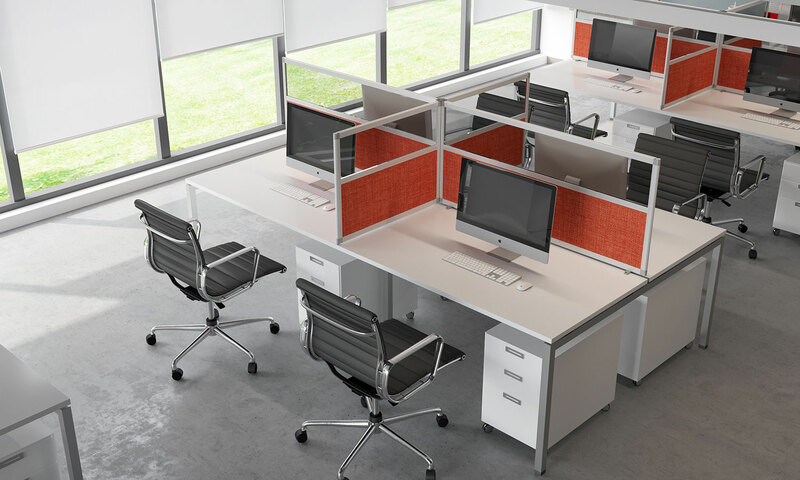 Office screens can be an effective way to improve the acoustics of your environment. 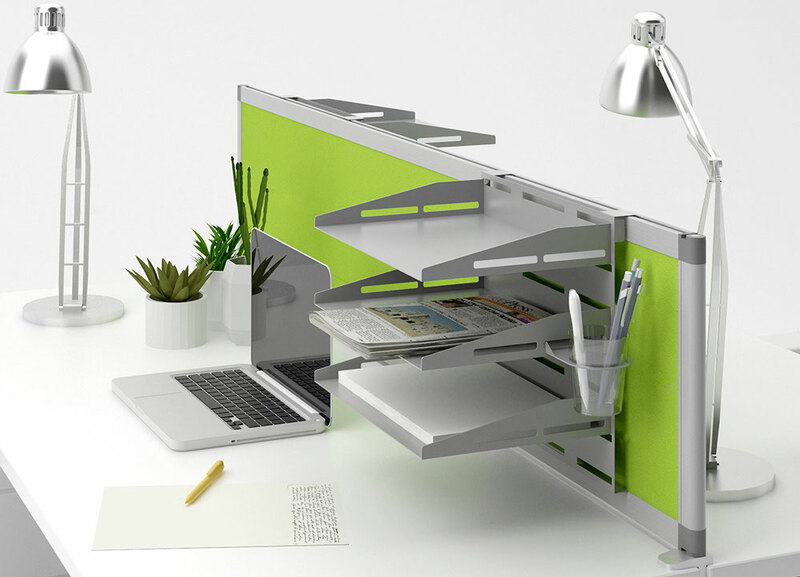 Desk screens can be placed directly on the desk thanks to Reyem bases. 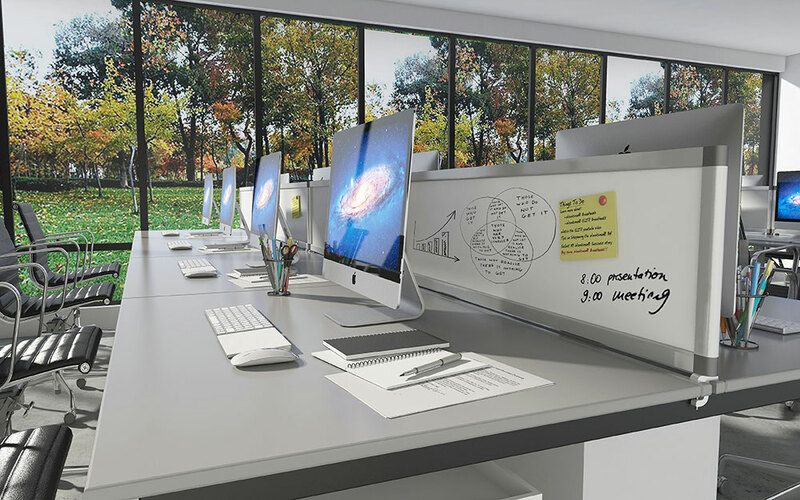 Reyem white enamel desk screens can be very useful as a whiteboard. 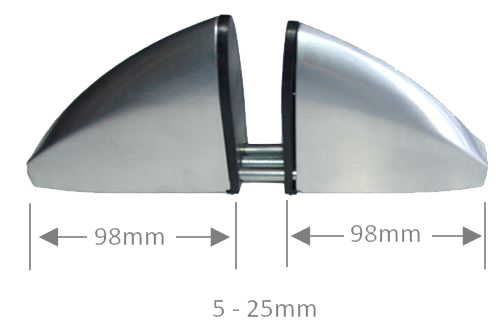 Standard heights and sizes. Custom made also available. 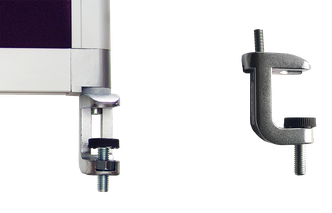 Each Reyem screen comes with an assembly kit. 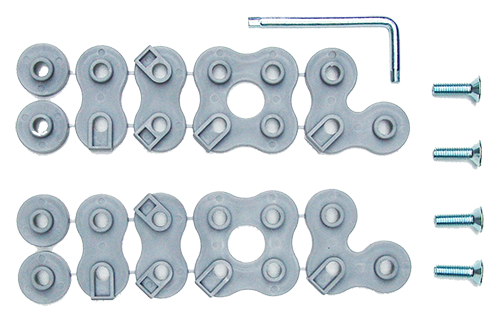 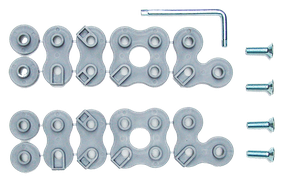 This includes multi-dimensional washers, enabling you to connect several panels together. 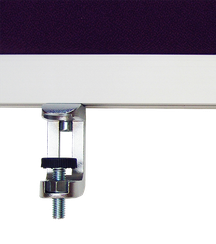 REYEM office screens can be mounted onto desktops from 10mm to 38mm thick using clips. 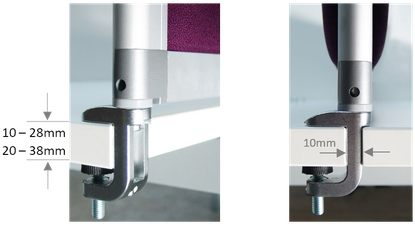 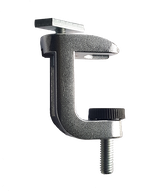 We have reinforced the aluminum frame of our partitions in order to fix the clamps directly on the profile. 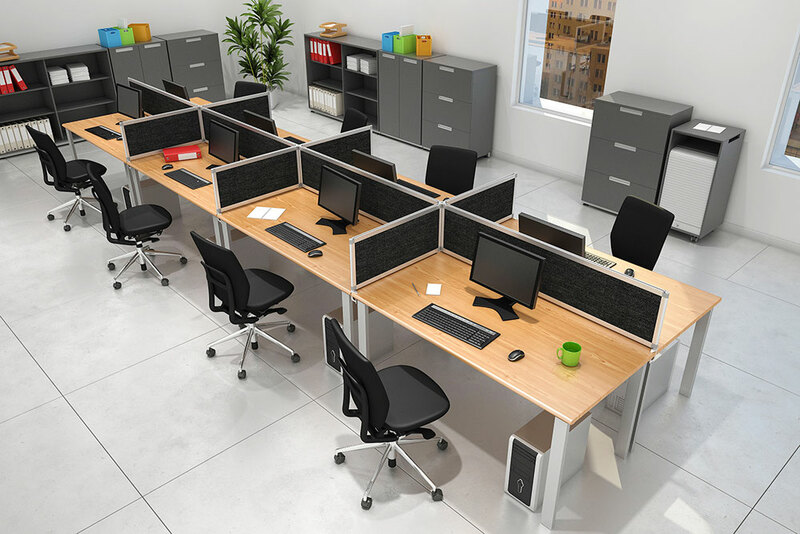 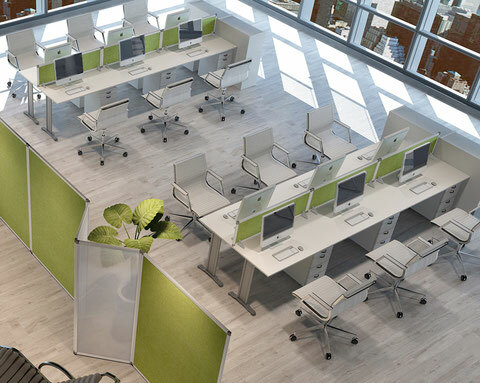 Reyem desk screens can be customised with the addition of 5 mm frosted tempered glass tops. 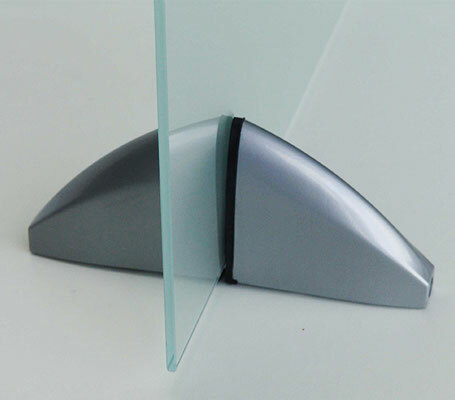 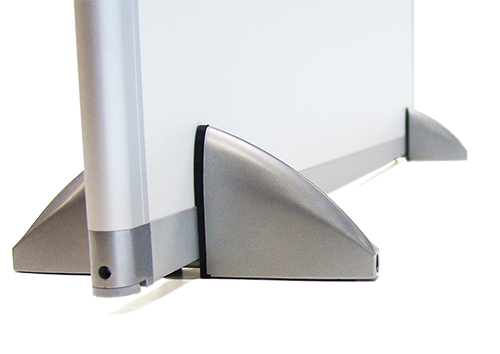 A range of accessories has been specially designed to enhance your Reyem office screens.